*President Barack Obama is really on the campaign trail early and is out there doing his Facebook thing. He plans to launch another town hall meeting on April 20 from Facebook headquarters in Palo Alto, Calif. and speak on the nation’s economy and budget. 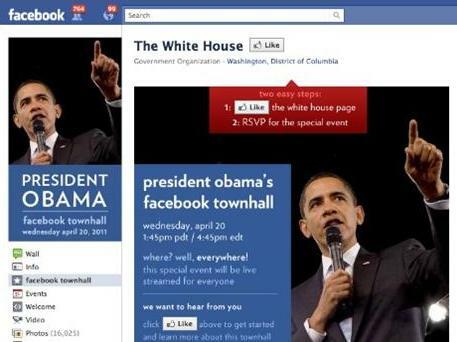 The president will answer FB generated questions via Livestream for anyone logged onto the site. The digital gathering aims to connect the president with “Americans across the country to discuss ways to “put our economy on a more responsible fiscal path,” the White House Facebook page reads. Fans, users, and curious folks can click here and submit a question for the event. Hopefully, this doesn’t work. Go away Obammy. Elitist behind..